UBTER PTCUL AE Admit Card 2017 - ubter.in UBTER Uttarakhand Board of Technical Education has released UBTER PTCUL AE Admit Card 2017 . PTCUL AE Exam 2017 will be held on 25 June 2017. 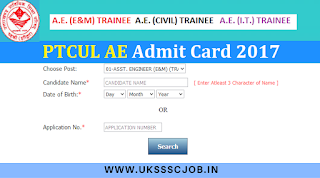 Candidates who have applied for UBTER PTCUL Assistant Engineer E&M , Civil Engineer and IT posts now they can download admit card from the official website of UBTER.IN or by direct link given below. Bookmark this page for PTCUL AE results 2017 and more updates about PTCUL exams. UBTER will conduct the PTCUL AE Exam 2017 on 25 June 2017. 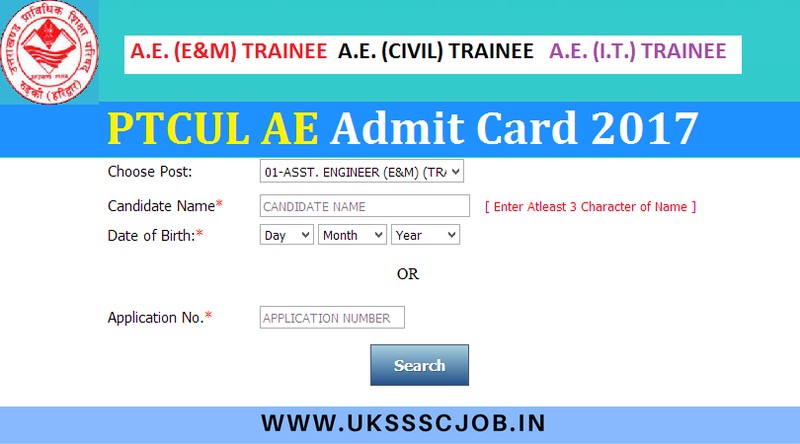 All eligible candidates can download their PTCUL AE Admit card from the ubter official,s websites ubter.in. Click on the below link to get the admit cards. PTCUL had advertised for 54 posts of Assistant Engineer via website ubter.in. All the candidates who are eligible and applied successfully can download their admit card . Also check the rejection list of PTCUL AE Exam 2017. Click Here To check PTCUL AE Exam 2017 Rejection List.